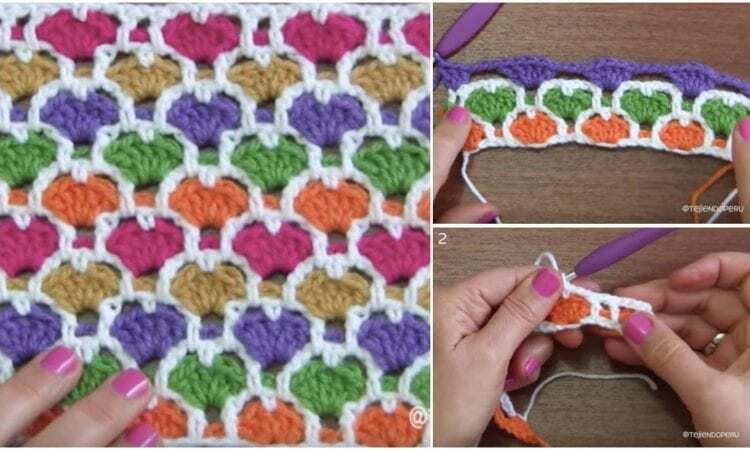 This beautiful reversible Moroccan Heart Stitch you can easily use in any of your project. It will make a perfect baby blanket, dress or pillow. You can use this stitch as a part of your Valentine’s Day project as well. Please follow a free pattern and video tutorial. You will find them at the end of the post.